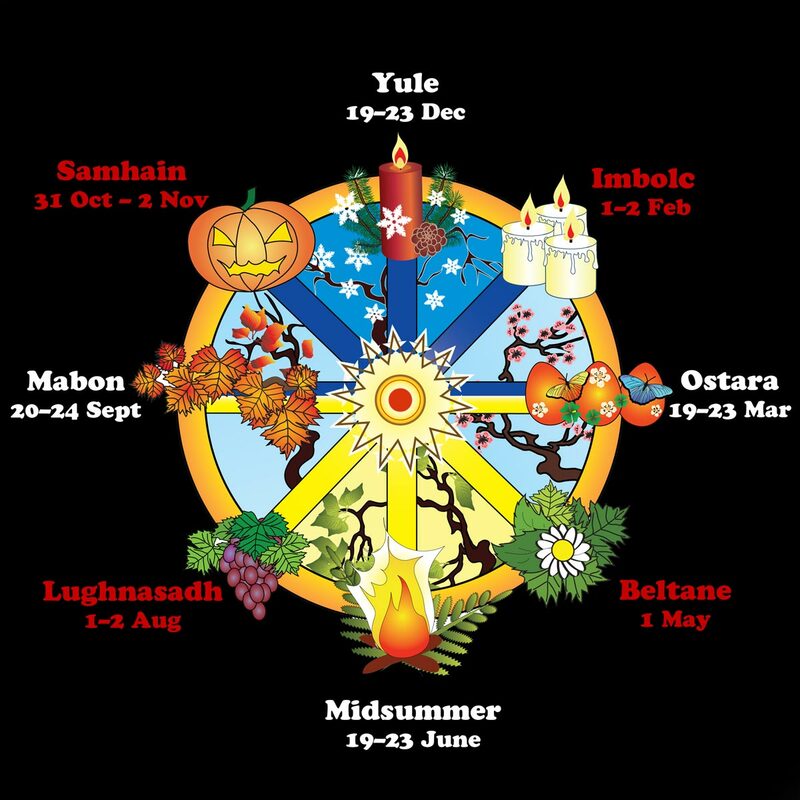 Friday 1st February & Saturday 2nd February is the Pagan Imbolc Ceremony, which is one of the four Great Celtic Festivals (between the Soltices and equinoxes), and which is a Wiccan, Gaelic and Druid Festival of Fertility and Growing Light. Imbolc (pronounced EE-molk) is the old Celtic word, the celebration is also known as Candlemas. It is sacred to the Goddess Brigit or Bridie, the power of the new moon, the Spring of the year, the flowing sea, corn dollies and the Great Moon Mother - Patroness of Poetry Making and Healing. Brigid is a triple Goddess, so she can be honoured in all her aspects, she is associated with fire, fertility, midwifery and the young. The Imbolc Festival marks the passing of Winter and the first signs of Spring, with the emergence of new leaves and early flowers such as the snowdrop and crocus, as well as being the transition point of the threefold Goddess energies from those of the Crone to the Maiden. Traditional foods for Imbolc include anything dairy, including sour cream, as the Festival celebrated the calving season. Spicy and rich foods, such as curry or anything made with peppers, leeks, onion, chives and/or garlic are appropriate to celebrate the sun, together with mulled wine and anything containing raisins which also represent the sun. Imbolc is a Fire Festival and it is traditional, at sunset, to briefly light every light in the house. Or light candles in each toom to celebrate the return of the sun. If it's been snowing, take time to enjoy walking in the snow, draw an image of the sun into the snow and relect on the sun's warmth. It's also a good time to clear clutter and look at what you want to achieve this year and ask Brigit's help in making it happen. This morning, 9.30 - 11.30, four of us undertook a fire (invoking the Essene Angel Uriel) and water (invoking the Essene Angel Phuel) ceremony to bless some water from the Thames - and some local rain water. We had collected together a selection of crystals representing the elements fire and water, and made a little altar area using a coloured scarf. so We also performed a Druid Ceremony with the White Lady (another name for Bride/Brigid/Bridie) to bless the water. And at 4pm, I returned my river water to the Thames.